Along some of the dunes on South Padre Island just northeast from Port Isabel, this is an October sunrise as low clouds float over the distand Gulf of Mexico. 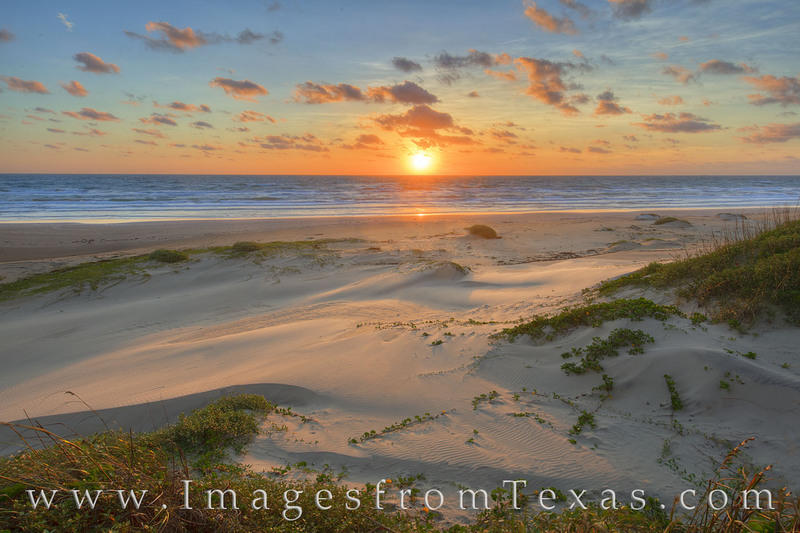 The mornings along this stretch of Texas coast always amaze me, as do the ever-changing lines in and around the dunes. Photo © copyright by Rob Greebon.